There are 17 posts in this thread, and it has been viewed 8047 times. There's also files attached. 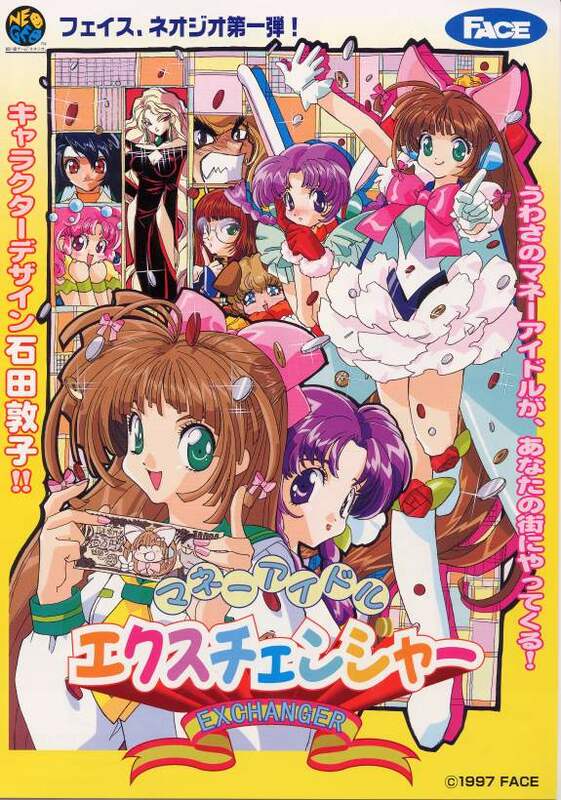 OK So this week its time for some puzzle action again, this time with Money Puzzle Exchanger /Money Idol Exchanger. I must admit that I don't know much about this game so if you think the challenge should be presented in another way please don't be afraid to let me know this. See what other members thinks of this game in this week GOTW thread (link below). Anyway I will sure try this and see if I can post a highscore worthy of the name, I hope you will too. Good luck! 2. Raiken: Score: 91,138. Character: Exchanger. Died at stage 5. I've had a double mode play today on MAME. In the SOLO mode I played with the Mightdealer and scored 57,861 points. In the 1P vs. COM mode I played with the Debtmiser and the was beaten at stage 7 (final stage) by the Mightdealer with 89,689 points. Got 61,813 in SOLO mode using Exchanger. I got 76,779 with Exchanger. Games were played on Kawaks. Ok, now I have a score for 1P vs COM. 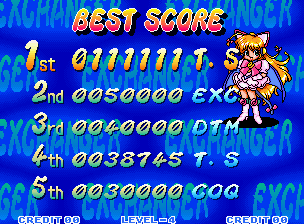 Got 91,138 with Exchanger. Died at stage 5. 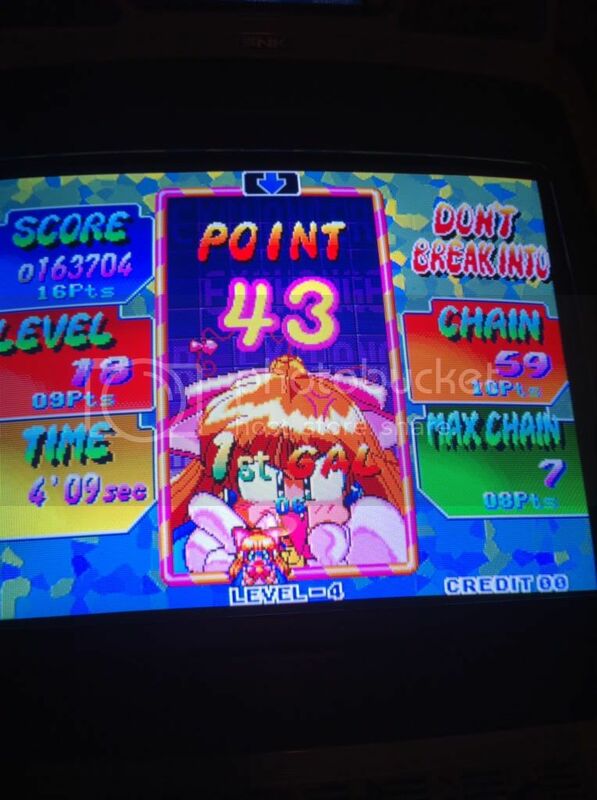 Kawaks (MVS Mode) on Lv.4 Playing as Exchanger in Both Modes! Thanks for helping me out Priest, Good Night, cant wait for more soon. I wont correct your post unless you tell me to, use it for "training". Got another one for SOLO play. Note: Please fill in the scores too, makes my job a lot easier. Thanks! Galvatron: I know that you come from N-G.com. I wanted to ask you what you think of NGFL Highscore challenges, any opinion on its rules or how its done? I think the rules are a good balance between keeping everyone on the same playing field while allowing as much participation as possible. N-g.com used to only allow scores submitted on actual neo hardware, but eventually dropped that requirement. 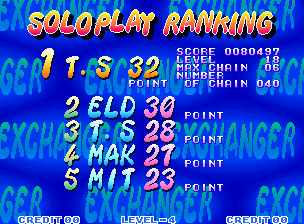 Last night I was playing exchanger on the mame cab and it's actually a little more responsive than my mvs...still, better that more people have a chance/way to compete than not. Also, I like the game of the week and the fact that the HSC tracks everyone's progress and encourages any and all players to join in instead of just first place like n-g.com...overall, I'm pretty pleased with the way things work here. 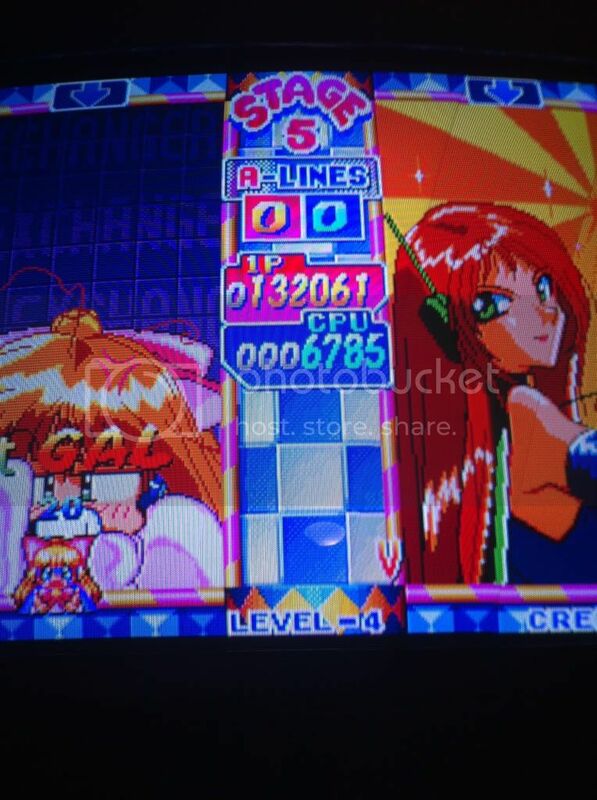 There was z bit of controversy on puzzle bobble since default is actually level 6 instead of 4...still, hsc threads clearly state their rules so no problems there. I've always wanted to start a game study group of sorts and the hsc feels like it's leaning that way. I would like to see a little more discussion on how to play the games better and increase score on this forum, but I've got just as hard a time finding that kind of talk here as Ido on n-g.com. I'll try to do my part to get these discussions going! Thats OK now I understand why you missed them. Yea game tactics and advice are apreciated and encouraged in the HSC threads. But like you say there could be more of this, maybe a subforum to the HSC where gametactics for different games are discussed. 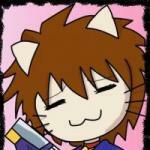 Kaz, what do you think of this?